Baby pictures! It’s a must have for every mother and is always what they rave about! 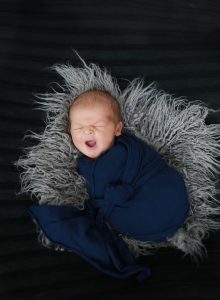 As a newborn photographer I always get this overwhelming feeling of happiness when a mother contacts me to document her newborns very first photo session, and I always fall in love with them all. This new mother has been waiting a long time to meet her little Declan, he is her rainbow baby and he is absolutely perfect! Makenzie wanted nothing more than to be a mom, and when she finally got her wish her happiness and already eternal love flowed out of her for everyone to see. When Declan came to the studio he was fed and ready to go wide eyed and ready for the world. 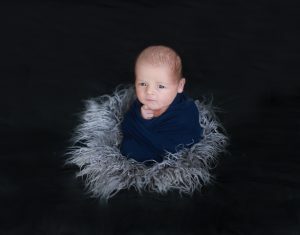 I wrapped him up in a royal blue wrap and posed him for the camera, he stared at me with wide eyes and perplexity while giving me the occasional smile and middle finger haha. 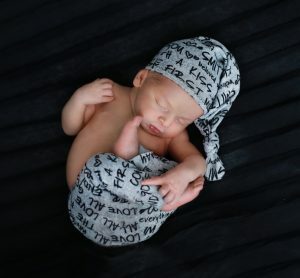 When his momma called his name he moved his face to the sound of her voice and his look altered from perplexity to peacefulness and content, it was then I saw then devotion and eternal love of motherhood. Through our time together baby Declan was quiet and peaceful yet still alert for most of his session which made for some uniquely beautiful pictures this family will have to cherish forever. 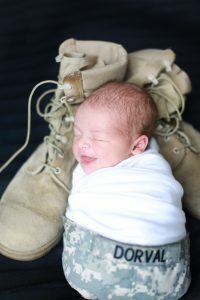 The most unique of them all is baby Declan nestled in his daddy’s military hat surrounded by his military boots. This is a photo that will be cherished by he family and will hold significant value for his daddy’s hard work and devotion to our great country. All I can say is Portland, Maine is not ready for this handsome guy! I can’t wait to see him grow and his little family flourish. To see see more make sure to stop by my Facebook or Instagram! 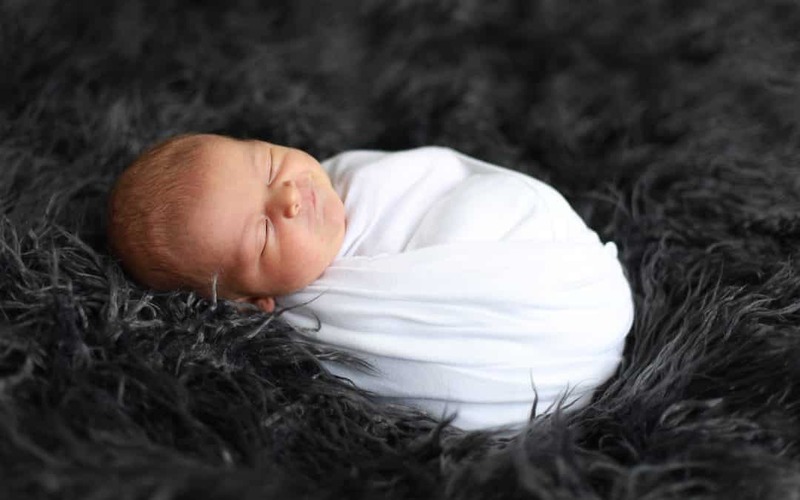 Catherine did such an amazing job of capturing these precious photos of Baby Declan! It’s so hard to choose a favorite! ? Catherine does such an amazing job capturing moments that’ll last forever! I wasn’t very big on having maternity pictures done and when I did from her, I was so shocked at how much I loved them considering I don’t like my picture taken. I was so grateful for her to have convince me otherwise. Once my baby was born I knew I had to go back to capture more lovely moments I’ll never forget. Thank you so much Catherine! Aw! Makenzie what a beautiful review thank you so much! It will always be my pleasure, your little guy is so handsome!